Donors have the opportunity to be more strategic with their giving by accessing IRCF’s knowledge of the area’s most pressing needs and the nonprofits providing the solutions. Donors can create a long term philanthropic vision to address unknown future needs through their family legacy. Nonprofits can use the Community Foundation as an endowment building vehicle to ensure sustainability and relevance. 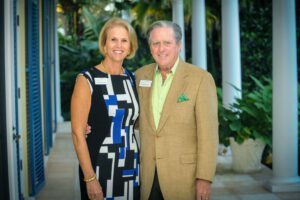 The Indian River Community Foundation is represented by people who are as deeply committed as Rick and Laura McDermott to strengthening this community through philanthropy.